Dato’ Peter Madhavan formed the firm that evolved into Madhavan Partnership with two others 27 years ago, in 1983. 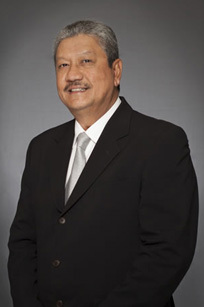 His firm merged with Joseph Tan Jude Benny LLP in 2010. Dato’ Peter’s practice focuses on civil, commercial, insurance litigation and corporate law. As managing partner of Madhavan Partnership he had an overview of the firm’s entire practice which included banking and finance, insurance, corporate, conveyancing and general administration. Dato’ Peter was closely involved in the Advoc Asia, Advoc Europe and Advoc Latin America global legal networks fostering regional and cross border cooperation between independent firms, such as assisting in cases emanating from the UK and Jakarta, Indonesia. Dato’ Peter plays an active role in the profession and community. He served as a council member of the Law Society for several years and chaired sub-committees including the Compulsory Professional Insurance Sub-Committee. Under his guidance, this committee made professional indemnity insurance compulsory across the profession. Their model policy remains substantively unchanged by the Law Society to this day as the policy required for Compulsory Professional Insurance. Dato’ Peter also served as a panel member for the Law Society’s Inquiry Committee and was a member of the Singapore Academy of Law’s Special Task Force. The Department of Foreign Affairs appointed Dato’ Peter honorary consul for the Oriental Republic of Uruguay in Singapore in 2000, a post he held until retiring in July 2009. He is formerly a long standing member of the Singapore Cricket Club, Captain of the Laguna National Golf and Country Club, and a former Honorary Racing Steward of the Singapore Turf Club.